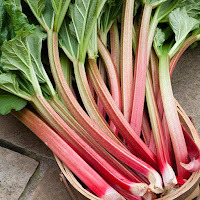 Description: A vegetable that has proven to have many uses, rhubarb is known for its great flavor and health benefits. While the United States says that rhubarb is a fruit, everywhere else it is considered to be a vegetable. It grows in warm weather climates and can be found pretty much all year round. It has a somewhat tart flavor that turns to sweet when it is cooked. This sweet flavor is perhaps most known in the always delicious rhubarb pie. 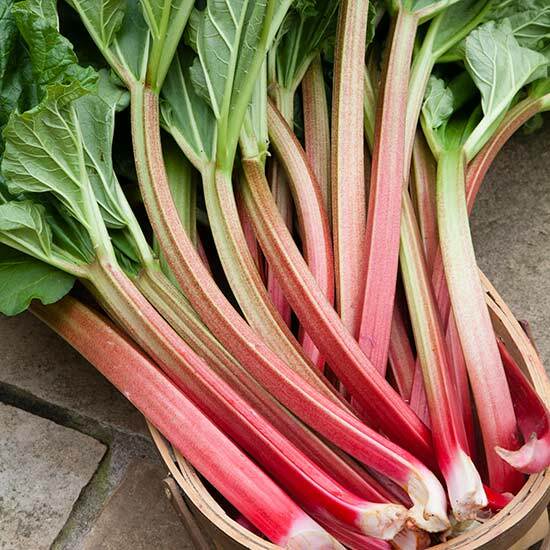 Rhubarb has a dark red stalk, which is typically the eaten part, with edible green leaves.. Kitchen Pharmacy: Rhubarb has been used for thousands of years medically especially in ancient China. It has been used as a laxative for numerous years and today it is believed to help prevent diabetes as well as support a strong and healthy immune system.